Champions. Cedric pwns Edward. 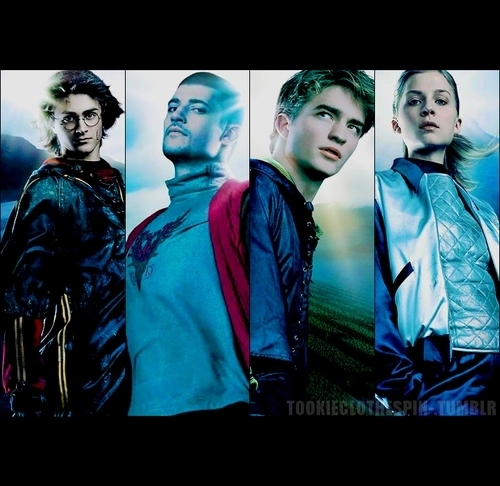 I miss when he went par Robert Pattinson instead of RPattz ou whatever nickname the media gives him ._.. Wallpaper and background images in the Harry Potter vs Twilight club tagged: goblet of fire harry krum cedric fleur champions. This Harry Potter vs Twilight photo might contain costume d'affaires and costume d’affaires. I never, ever, ever, ever,ever,ever,ever,ever,ever,ever,ever,ev­er,­eve­r,e­ver­, EVER thought I would say this, but ... er ... Rob looks really attractive. Am I the only one that thinks Viktor Krum is absolutely gorgeous? I've always thought he's better than Robert Pattinson, even in HP. I don`t like these people at all. If I were gonna date a Triwizard champion, it`d be Fleur. I swear.